FIFA President Gianni Infantino has confirmed that the World Cup expansion to 48 teams could be brought forwards to 2022. In January 2017, the FIFA Council voted unanimously to expand the World Cup from 32 teams to 48 teams. The 2026 tournament - which was awarded to Mexico, Canada and the United States earlier this year - was to be the first tournament with the new format. 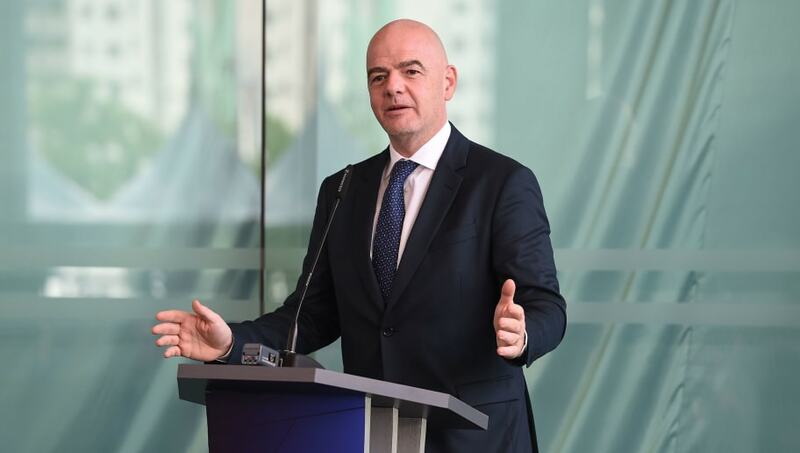 However, despite the fact the next World Cup in Qatar is only four years away, Infantino admitted that talks are still ongoing about bringing the expansion forwards. There could be more teams at the 2022 World Cup than originally planned. Fifa president Gianni Infantino hasn't ruled it out. "If it is possible, why not?" he said at the opening of the Asian Football Confederation's new headquarters in Kuala Lumpur, quoted by ​BBC Sport. "We have to see if it is possible, if it is feasible. We are discussing with our Qatari friends, we are discussing with our many other friends in the region and we hope that this can happen. If the 2022 tournament is expanded to 48 teams, Qatar would be forced to share hosting duties with other nations in the Gulf region. World Cups are usually awarded eight to 10 years ahead of time so this would be a very late call by FIFA. UEFA has fiercely opposed these plans, believing that the revamped Club World Cup would be a distraction and a rival to the Champions League.